Today Beats revealed in a tweet that its BeatsX Earphones will be available for purchase this Friday, February 10th. BeatsX come in a variety of color finishes, including the previously announced white and black. CNET also reports that gray and blue finishes are in the pipeline, though it's unclear whether they'll be available at launch or a later date. Announced in Apple's September keynote alongside Apple's AirPods and two other Beats products, Beats Solo3 and PowerBeats3, Phil Schiller described BeatsX as "affordable, light, comfortable headphones for all throughout your day." 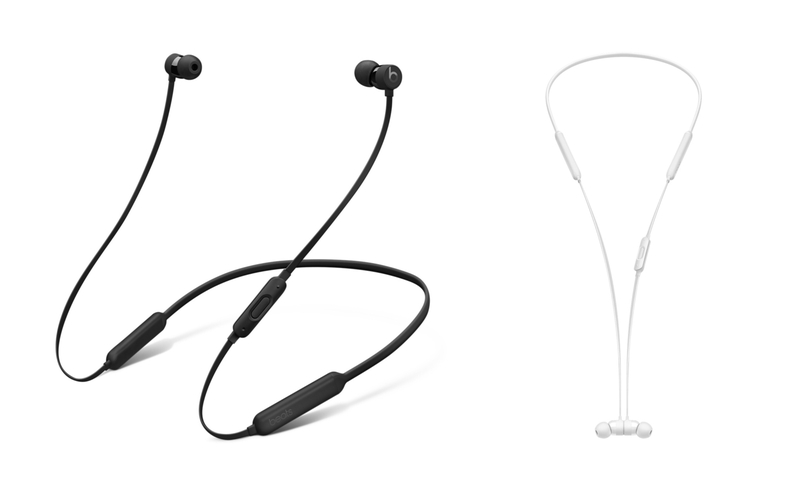 BeatsX contain the same W1 chip found in those other products, which improves power efficiency and enables easy connections with Apple devices. Unlike those other products, however, BeatsX did not see the light of day in 2016; they stand alone in being delayed into 2017. BeatsX are the lowest cost earphones Apple announced in September, barely edging out AirPods' cost with a $149.95 price tag, nearly $10 less than AirPods. BeatsX claim better battery life than AirPods, with up to 8 hours on a full charge versus AirPods' 5 hours. BeatsX may also appeal to anyone who is uneasy about the possibility of wire-free AirPods getting lost more easily.